Flip a coin. 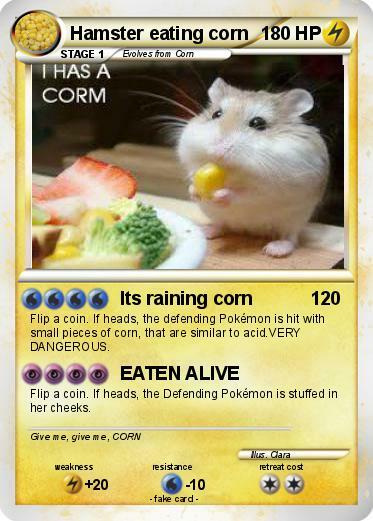 If heads, the defending Pokémon is hit with small pieces of corn, that are similar to acid.VERY DANGEROUS. Flip a coin. If heads, the Defending Pokémon is stuffed in her cheeks.